Grand Rapids Natural Health, Kelly Hassberger (photo). Kelly Peterson, CEO and Practice Director at Grand Rapids Natural Health graduated with a Doctorate in Naturopathic Medicine, with highest honors, from Southwest College of Naturopathic Medicine in July of 2011. She then went on to complete a 1-year general medicine residency in Naturopathic Medicine at the Southwest College of Naturopathic Medicine Medical Center. She has always had a passion for medicine and through growing up in a household that opened her up to the power of a healthy, loving, fulfilling life, she found her passion in Naturopathic Medicine. With this passion, she opened Grand Rapids Natural Health in 2012 and has become an active speaker and advocate for Naturopathic Medicine in the Grand Rapids community. 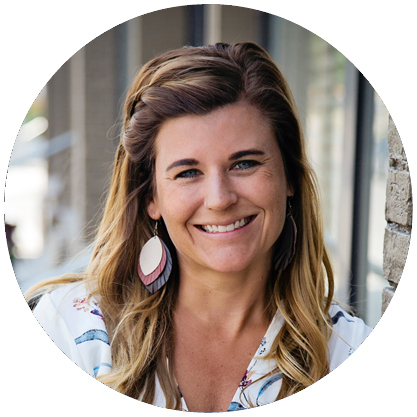 Kelly is the co-founder of InspiredlifeGR, a two-day health and wellness conference held annually in Grand Rapids, and created to inspire the West Michigan community to transform their lives and become their healthiest self. She is also a contributor to Medicine Talk, a non-profit organization providing education, seminars, and programming on Naturopathic Medicine to the general public. Kelly is passionate about creating access to Naturopathic and Functional Medicine for the greater Michigan community. She is the past president of the Michigan Association of Naturopathic Physicians (MANP) and continues to work diligently with this association to achieve licensure for Naturopathic Physicians in Michigan. She is also an active member of the American Association of Naturopathic Physicians (AANP). Are you looking for a speaker for your next event or an expert for your next news segment or radio show? Contact Kelly Peterson, ND at khassberger@grnaturalhealth.com for inquiries and visit our media page for sample appearances. What are the Benefits of a “Cleanse” Program and Do YOU Need to Do One? What is Naturopathic Medicine and What Should I Expect when Seeing a ND? Is it Really Just Genetic?